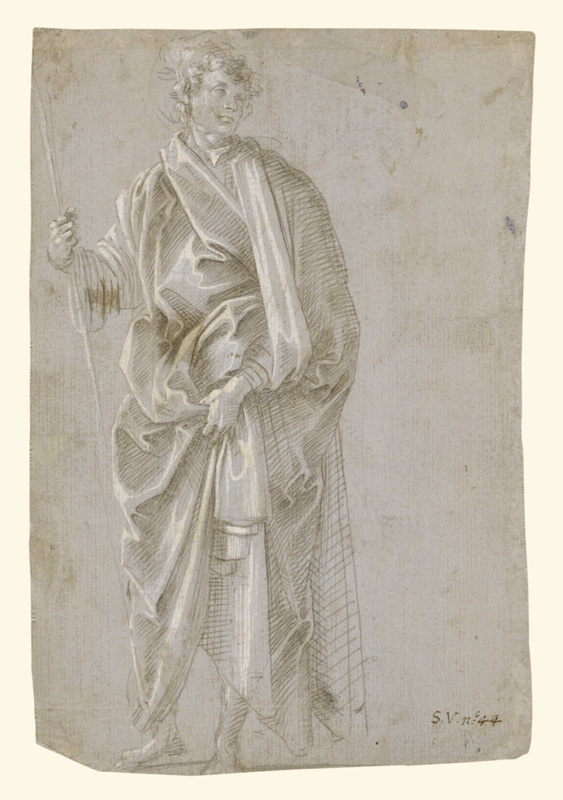 Secondary Inscription: (Recto) at lower right, inscribed "S. V. n:o 44"
Using metalpoint on light gray prepared paper, Filippino Lippi drew a male saint holding a staff or possibly a stemmed cross. He probably sketched from a model, likely his youthful assistant or apprentice, and used the drawing primarily as a drapery study. Scholars know neither the exact purpose nor the date of the drawing, although it may relate to a 1503 altarpiece. Few of Lippi's drawings directly relate to his paintings, and drawings for his altarpieces are scarce. This study represents a rare opportunity to witness his working method in the early years of the 1500s. 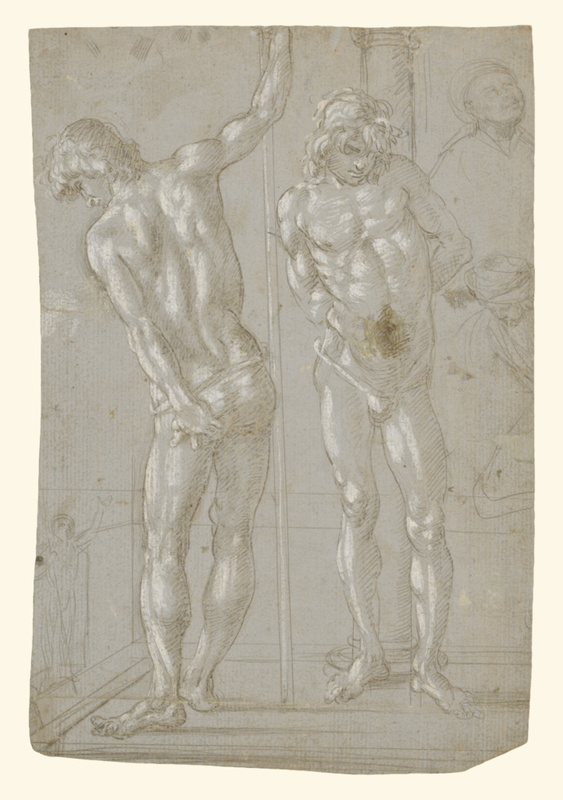 On the verso Lippi drew the same model from life as a study of two standing youths, with other, fainter studies along the edges of the paper. These two figures seem to relate directly to the figure of Saint Sebastian in the altarpiece. The white lead highlights that Lippi applied to both studies show that the model was illuminated by a light source at the left. Lippi also drew cast shadows at the figures' feet.